Thing is, the helmet was being used in Lego DC Supervillains on Firefly as well and he could've been designed months before the sets we're designed. If you are fine with removing printing, I believe it was a Harry Potter or Fantastic Beasts character that had dark blue and dark brown boots. So for confirmation purposes, if I order $75 worth of any lego, on lego.com Friday - Sunday, I will be able to add the bricktober pack to my cart? Compound build doesn't look too bad, but for 100? I'll definitely be passing on it. Armor room actually looks great to me! Probably the only set I'll pick up(possibly the WMB as well). Over the whole wave was pretty disappointing. Hopefully a summer set comes along with an amazing Ronin and Rescue, and other spoilery characters. Doesn't that leave one figure? If the armory has 5 (4 suits and outrider) and the compound has 4 (outrider confirmed) it has to include the Nebula and mk85, there is no room elsewhere. Why do so many people keep saying this isn't Legos fault? There is clearly concept art of the characters outside of the QRS. It's just Lego going the easy way out making the same torso and legs for majority. That Robin torso is phenomenal! It's imo the best we have ever received. (Hopefully it warrants a new head with a bit darker skin tone) Freeze's head looks great, I hope he has some armor to bulk him up. Gordon is ok, I would have preferred the stash and eyebrows to be white or grey but it still looks fine. 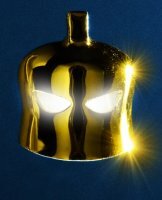 The Batman head is a great update, hopefully we get a new torso for him. I'm actually happt it's in grey. It'll allow me to use a pair of Batman's boots in him. If it was all black it would look to plain imo. 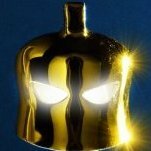 I could see a new mold appearing as we are confirmed to be getting Mr. Freeze in the Batman summer wave, the new mold could appear here and there, similar to Firefly's helmet. I've done the same! I'd love for Lego to use it but knowing them, might as well be ready. I still hope they use the 2006 Mr. Freeze helmet. I know it's very unlikely but it is the best non-new option imo. TLBM is a separate line than DC Superheroes. This is the first official Clayface we are getting, and the first Two-Face since 2012.